Dr. Victoria Grady shares insights about the Organizational Loss of Effectiveness Index: a quantitative Tool for measuring individual response to organizational change. I am joined today by Dr. Victoria Grady to talk about her Organizational Loss of Effectiveness Index, a quantitative Tool for measuring the individual response to organizational change. The LOE Index is used by organizations to identify behaviors, perceptions, and attitudes that emerge as a response to change and that ultimately impact its overall effectiveness. The LOE Index quantitative data, along with qualitative data obtained from selective interviews, helps the implementation team develop a customized change management plan that can be adjusted as necessary. The index can be administered multiple times during the change implementation to provide continuous feedback and flexibility to re-evaluate the success of the change initiative. Dr. Victoria Grady is currently a Lecturer at George Washington University. 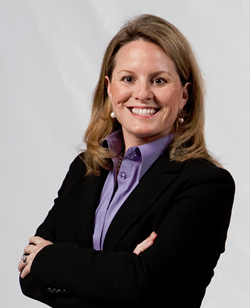 Her consulting practice, at PivotPoint Business Solutions, serves federal government institutions, non-profit organizations, and private sector companies. You developed the LOE as a quantitative Tool for measuring the individual response to organizational change. How did you get interested in this topic and what was the background for developing this tool? The model identifies behaviors, perceptions, and attitudes that emerge in organizations as a response to change and that ultimately impact overall effectiveness. Can you give us a brief overview of the model? What are some of the key benefits that an organization can gain from implementing the Loss of Effectiveness model? 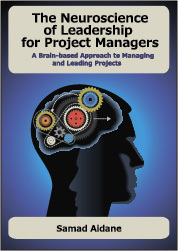 How can project managers integrate the Loss of Effectiveness model in their projects management and their organizations project delivery methodologies? You will be presenting the model at the Pink Elephant 16th Annual International IT Service Management Conference & Exhibition February 19th thru 22nd, 2012. Can you share with us some final thoughts on the key takeaways the audience will gain from the presentation?